On 7 November 1726, the VOC ship Zeewijk left the Netherlands bound for Batavia (modern Jakarta), with a complement of 208 seamen and soldiers. Zeewijk was a Zeeland ship, 40.6 m (145 ft) long with a draught of 5.53 m (19.75 ft) in the stern and 4.9 m (17.5 ft) forward. The vessel was registered at 140 lasten (278 tonnes) and armed with 36 cannon and six small, breech-loading, swivel guns. On its maiden voyage, Zeewijk carried heavy ironwork, bricks and cash money in ten chests amounting to 315,837 guilders. ‘It was decided unanimously to steer ENE, if there [was] an opportunity, in order to, if feasible, call at the Land of Eendracht (Western Australia)’. Company. As a result, at 7.30 p.m. on 9 June 1727, Zeewijk ran aground on the northern edge of Half Moon Reef, opposite Gun Island, in the Houtman Abrolhos on Western Australia’s mid-west coast. In 1840, officers and crew of the British survey ship HMS Beagle landed on the island where the marooned sailors from the Zeewijk had camped and found numerous relics, which they believed to be from the Batavia, thus confusing later searches for this wreck. Subsequent colonial visitors and guano miners further located artefacts left by the survivors. 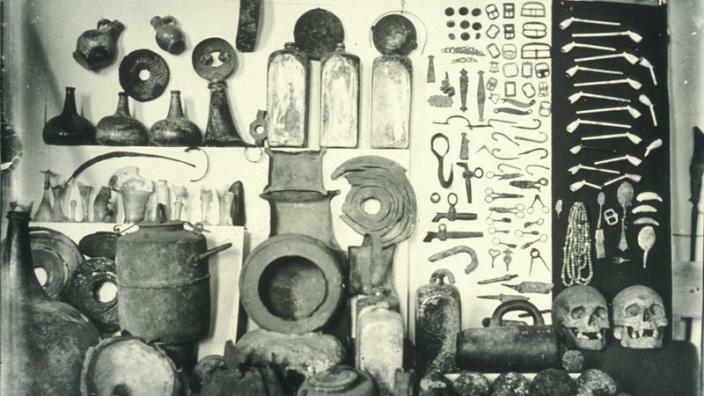 In the 1950s and 1960s, visitors continued to discover material on the island and in the shallows. In 1968, the outside of the reef was searched for the main wreck site. During March of that year, the major wreckage was discovered consisting of anchors, cannons and a large mound of conglomerate (items concreted together). A combined underwater and land survey was conducted by the Underwater Explorers Club (UEC) in 1972, under Museum supervision. Following a feasibility study of the archaeological sites by the Department of Maritime Archaeology in 1974, plans were made to undertake more intensive investigations. In 1976, the Department commenced the Zeewijk Project - a combined land and underwater survey of the Zeewijk site. Several expeditions were conducted over following years.